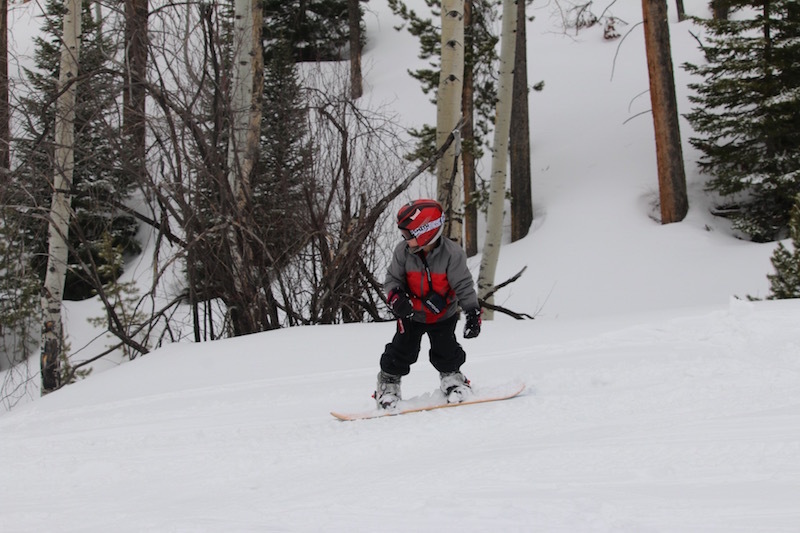 This year, our family went cat skiing at Three Forks ranch in lieu of our yearly traditional ski vacation. It was a leap of faith on my part to convince the family to choose the Lodge at Three Forks. To be honest, I had no idea whether we would like it or not. I was just tired of doing the same old snow ski vacation. 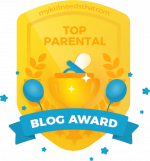 I also secretly wanted to write a review of the cat ski experience at Three Forks Ranch, because there was very little information on the internet. 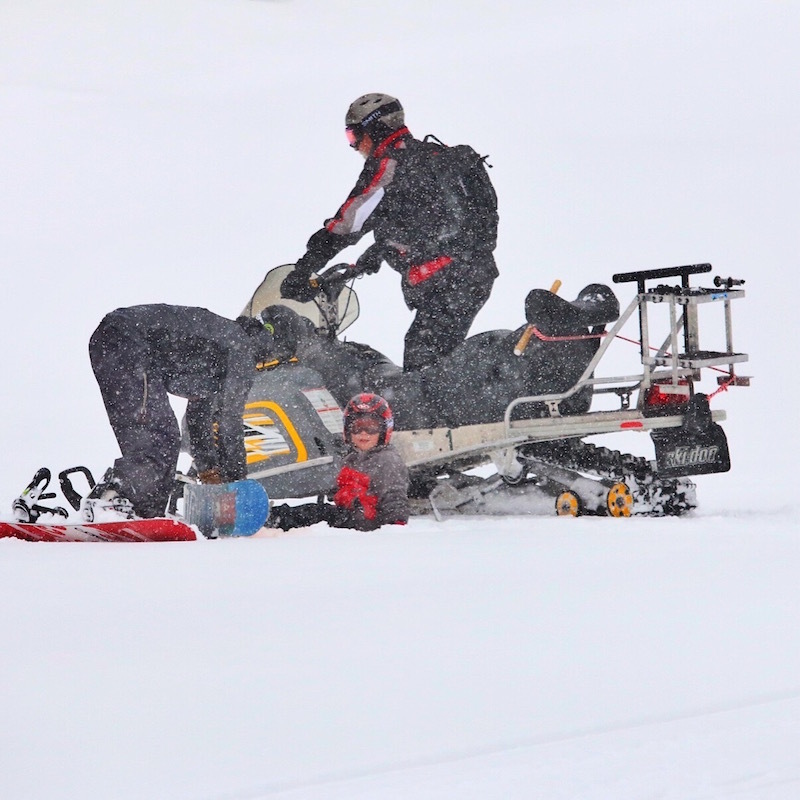 Cat skiing at Three Forks Ranch was mostly awesome, and exceeded our expectations. Let’s start with the part that exceeding our expectations! The Three Forks lodge itself is stunning. You might forget about skiing after you see the infinity edge pool and spa. Take a look at our Three Forks Ranch video which showcases the lodge and private mountain with some cool drone footage. The Three Forks spa is also amazing. Even more amazing is the fact that you can opt for unlimited spa treatments if you choose the all-inclusive package at Three Forks Ranch. At the time, the all-inclusive rate was not published on the Three Forks Ranch website, so you would have to email the hotel for the rate. The room rates on the Three Forks website include your food and beverage, which leads me to another reason Three Forks Ranch is so freaking awesome. The food at Three Forks Ranch is to die for, and the presentation is just as good. The real million dollar question is whether the cat skiing, and other winter activities met our expectations. 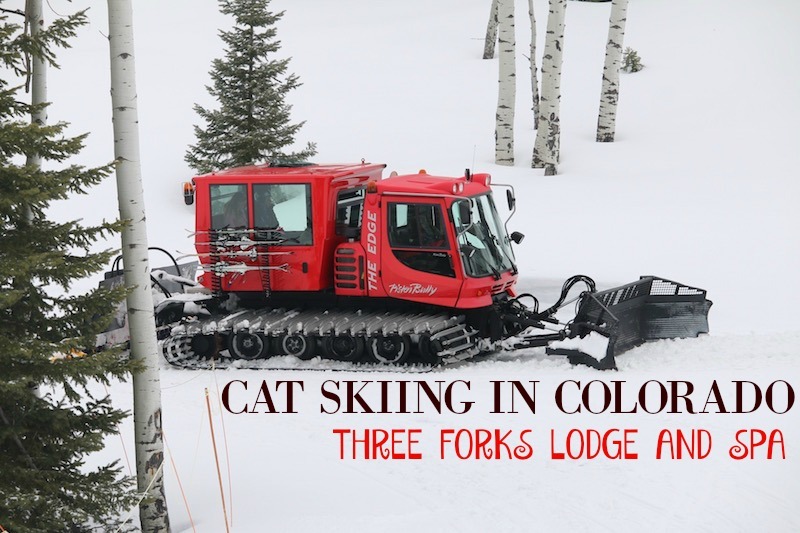 I need to first explain how the cat skiing actually works at Three Forks. 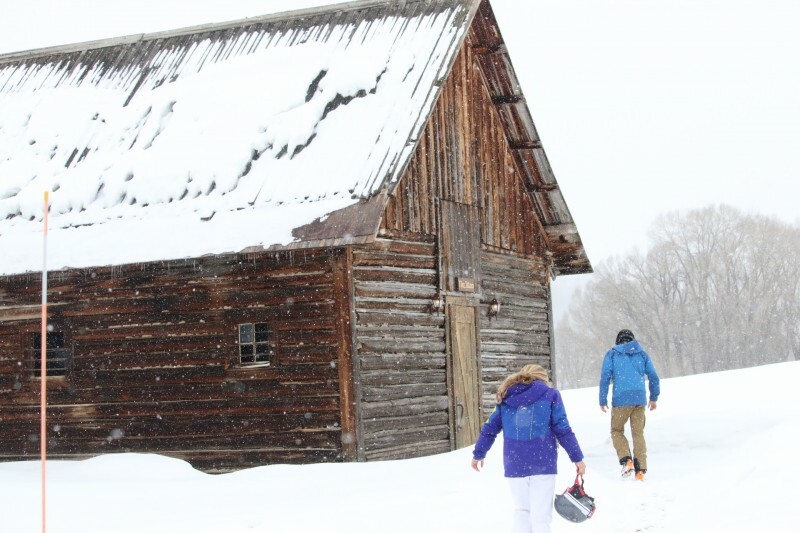 Three Forks Ranch is not your typical ski-in ski-out resort, but that does not mean you will be inconvenienced. In fact, there is nothing further from the truth. A driver in an SUV will take you around the corner to the Igloo, which is literally a 2 minute car ride. The Igloo is where your skis and/or snowboard lockers are located. The Igloo looks rustic from the outside, but its definitely not rustic on the inside. Admittedly, I was not very enthusiastic about my first day cat skiing after finding out that I would not be able to go with the rest of the family. I reserved private lessons for my five year old during the booking process. You can call us bad parents, but the last thing we wanted to do was freeze our butts off while our five year old did the “pizza” down a bunny slope all day. In our defense, we had no intentions of ditching him all day. We just wanted the option of skiing together with the girls. I was a admittedly feeling a little like Paris Hilton in jail for the first time, but Murray’s snowboard instructor put a smile back on my face. The instructor was awesome, and worked really hard with Murray. I also tried snowboarding with Murray in an effort to keep warm. The good news is that I definitely stayed warm. The bad news is that I stayed warm by face planting in the snow all day. I’ve snow skied for 27 years, so I’ll stick with that from now on. On the bright side, Murray has a lower field of gravity and did much better on the snowboard than I did. Anyway, we both had opportunities to ski the Three Forks Ranch Mountain. The ski terrain was very nice, and more than I expected for a private mountain. You are the first tracks and only tracks each and every day. Also, riding up the mountain in a heated cat instead of a ski lift was the bomb. There were no lift lines and no freezing moments on the ski lift. I will be forever spoiled by the Piston Bully. There were 2 ski guides with us at all times, which was necessary due to the fact that the mountain is not mapped. The guides sincerely became our friends by the end of our time at Three Forks Ranch. 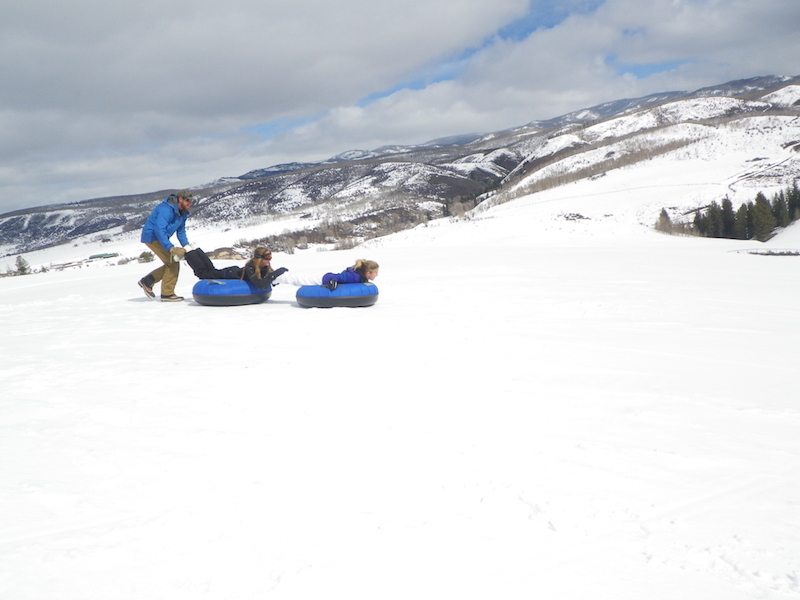 We also tried tubing at the Three Forks Ranch. 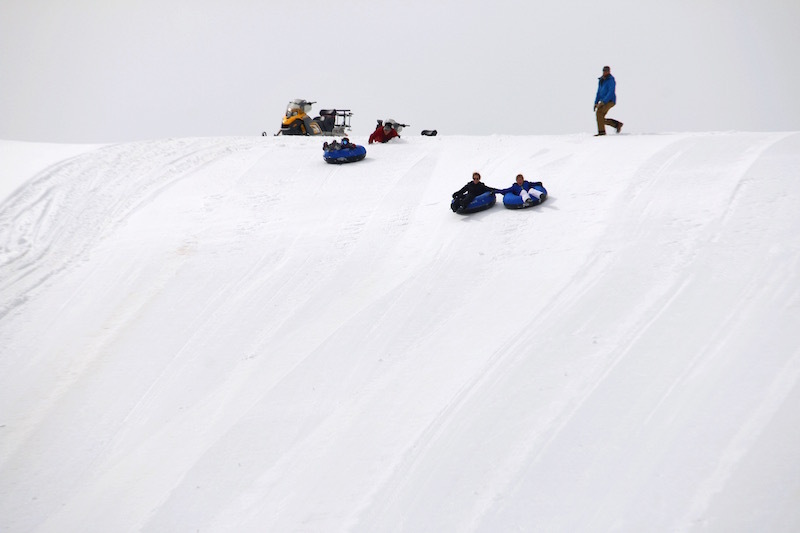 The tubing hill was not for the faint at heart. It was freaking steep! We are thrill seekers, so we loved it. 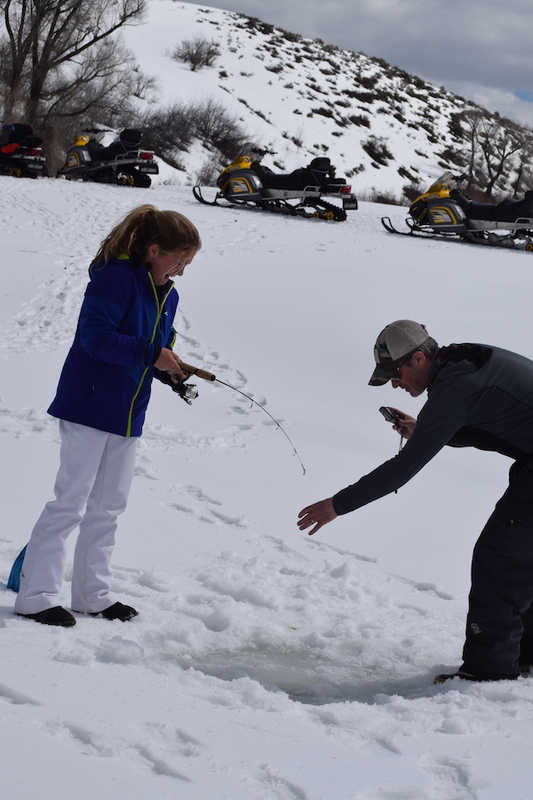 On our last day at Three Forks Ranch, we went ice fishing. Everyone loved it, and we caught lots of trout. Overall, we throughly enjoyed our first time cat skiing at Three Forks Ranch. 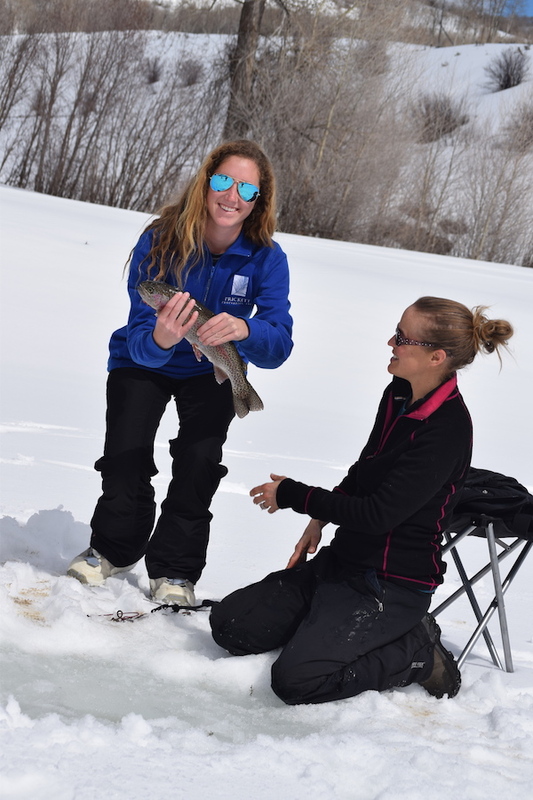 The guides really make the experience at Three Forks Ranch special. At our last dinner, they gave us each a photo album full of pictures from our trip. The photo albums were a very nice and personal touch. So did we think Three Forks Ranch was fabulous and worthy of a 5 star rating? Absolutely! So would I go back? In a heartbeat, but not before Murray can ski or snowboard on his own. 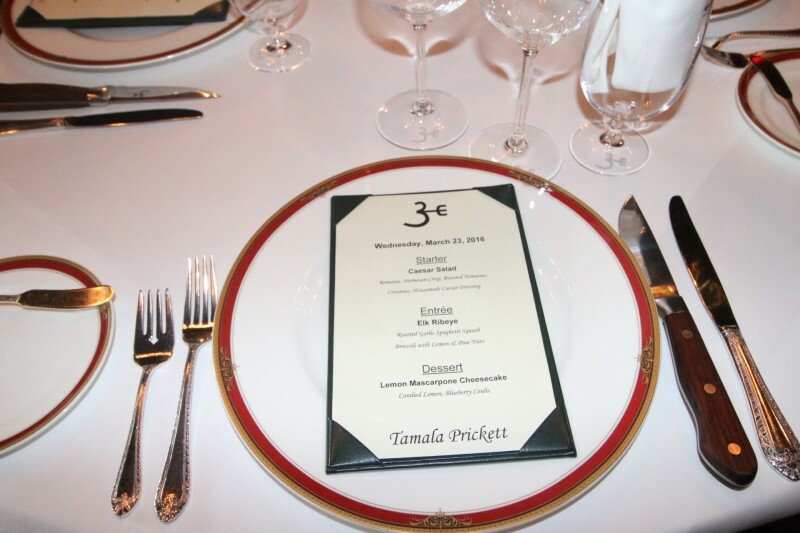 Tamala Prickett with Chic Family Travels was sponsored by Three Forks Ranch. 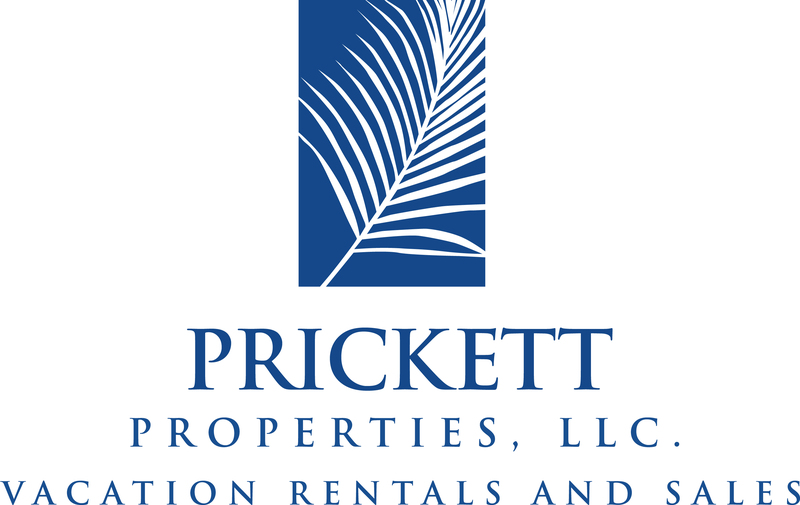 Daniel Prickett with Prickett Properties shelled out a small fortune for the rest of the family. As always, my opinions are my own. 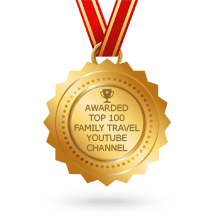 It is my goal to provide fair and accurate reviews of the hotels and resorts we visit.